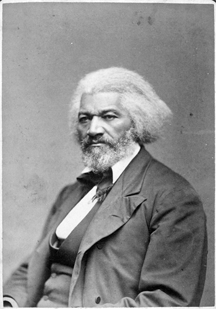 Frederick Douglass (1818-1895), ca. 1879, American, famed abolitionist and ex-slave. He achieved renown as an author, orator, and abolitionist. For much of his career, he advocated for abolition as a dissenter. And although his positions enjoyed gradually increasing acceptance, the experience of dissenters, generally, is rather different. Most dissenters never see their positions accepted. For its own wellbeing, keeping dissent alive and vital is the task and responsibility of the majority. Photographer unknown, courtesy U.S. National Archives and Records Administration, via Wikimedia Commons. Over time, the quality of a group's decisions depends on how the group handles dissent. Some groups regard dissent as an annoying obstacle to overcome. And once these groups overcome dissent, some of them regard the views of dissenters as views to be suppressed. Some even eject repeat dissenters. The actions of these groups expose them to risks that arise from excessively narrow perspectives about the issues they face. If, ultimately, events expose weaknesses in the majority's views, dissent-intolerant groups can find their ideological resources so impoverished that they cannot respond effectively to those events. The effect is most pronounced when the issues in question are difficult to resolve on objective grounds, because the group cannot be certain that the majority perspective is complete and correct. In these situations, there is a non-zero probability that the majority is overlooking some important issues, or that it isn't weighing some issues appropriately. Rejecting the views of dissenters, and obliterating their views from the record, reduces the group's ideological diversity, which can prevent the group from accessing the benefits that arise from taking dissenters' views into account, even retrospectively. These considerations are most important when they apply to decisions that have long-lasting effects or substantial impact on resources. For such decisions we can manage this "dissent risk" by recording the views of dissenters. Not their identities — their views. That practice has benefits and risks. Let's begin with the benefits. of the majority heard are less likely to become cynical about the decision process. A faithful record of a dissenter's view on an issue is objective evidence that the majority has heard the dissent. Because there is a record of the dissenters' views, any lurking doubt on the part of the majority about the rightness of their own views provides motivation to make adjustments to take account of the dissenters' views. Aware that their views will be recorded, dissenters become more motivated to express their views cogently and without rancor. This approach inherently makes their views more credible and persuasive. Recording their views discourages dissenters from expressing views that are insubstantial, because the record can make spurious dissent obvious, especially if the dissents are part of a pattern. Most important, the record of dissents enables the group as a whole to learn from its mistakes. When it reaches decisions that prove mistaken, and a recorded dissent demonstrates that the group could have adopted a more productive path, the group can explore possible causes of its error. That exploration can lead to learning. And there are some risks. The practice of recording dissent can seem to some to be a plan for a later I-told-you-so revengeful attack on the majority. Dissenters who use the record in that way must recognize that such actions would be used as a basis for halting the practice of recording dissents. To mitigate this risk, groups adopting the practice can establish a norm that makes clear that using the record for I-told-you-so attacks is inappropriate. There is a risk that the existence of a record can encourage dissents that lack real merit, by people who seek only long-shot opportunities to be right when everyone else is wrong. However, the record itself mitigates this risk, because the record can expose patterns of long-shot dissents. If the dissent record is insufficiently clear, a decision failure can lead to incorrect conclusions regarding the merits of the dissent, or dissenters can claim "credit" when credit isn't really due. To mitigate this risk, write clear summaries of dissenters' views, and subject them to review by the dissenters. Would you like to see your comments posted here? rbrentSwHYytFbyaACuuSner@ChacgMVcDLErkCtfOhjBoCanyon.comSend me your comments by email, or by Web form. See also Conflict Management and Critical Thinking at Work for more related articles. I offer email and telephone coaching at both corporate and individual rates. Contact Rick for details at rbrenCiUfRDrkqlXZLcewner@ChacLnpyzsilwOsaCmkPoCanyon.com or (650) 787-6475, or toll-free in the continental US at (866) 378-5470.